This Thursday, September 13, 2018 the grounds of the Temple of Justice on Capitol Hill will witness the presence of dozens of friends, well-wishers and family members the reopening of the US800,000.00 Economic Sabotage case involving the former Managing Director of the National Port Authority (NPA), Madam Matilda Wokie Parker and the former Comptroller, Christiana Pealay when lawyers representing the accused will be there at Criminal Court ‘C’. Criminal Court ‘C’ at the Temple of Justice has now resolved to schedule the trial of former National Port Authority (NPA) managing director, Matilda Parker, after Parker’s legal team requested the court to re-open the case. The lawyers’ concern was for Parker and her former Comptroller, Christiana Pealay, to exonerate themselves against multiple charges, which include economic sabotage, criminal conspiracy, and theft of property for their alleged roles in the disappearance of US$800,000 from the NPA’s account during their tenure. Parker’s request comes about a year after the Supreme Court mandated Criminal Court ‘C’ to resume jurisdiction, empanel a new jury and start the trial anew. The court agreed to schedule hearing of the matter to Thursday, September 13, but the question that remains is whether the government is ready to pursue the case. The reason being since the High Court ordered the resumption of the case in 2017, up to and including present, authorities of the Ministry of Justice has not demonstrated any seriousness about their willingness to proceed with the prosecution of Parker and Pealay, an attitude which prompted defense lawyers to aski the court to enforce the High Court’s decision by reopening it. 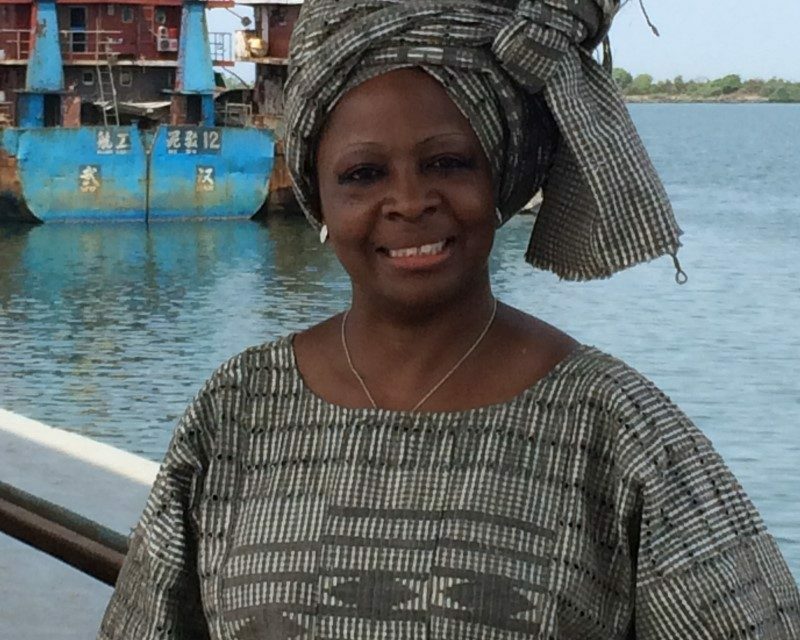 Defendant Parker and her former Comptroller, Christiana Pealay, were indicted by state prosecutors for economic sabotage, theft of property, criminal conspiracy and facilitation for allegedly awarding a contract worth over US$800,000 to dredge the Greenville Port in Sinoe County to a bogus company. Parker and Pealay went on trial in early 2016, but the case was adjourned after prosecutors alleged that someone had tampered with some of the jurors in the trial, after a letter was reported to have been intercepted by one of the court officers assigned with the jurors at the time of sequestration. By then, Judge Blamo Dixon, after investigation, removed the four suspected jurors on the panel mentioned in the letter, but prosecution lawyers, headed by Cllr. Daku Mulbah, now Solicitor General, objected to the ruling, and filed a writ of “certiorari’ against Blamo’s ruling before Justice-in-Chambers at the time, Jamesetta Wolokolie. A writ of Certiorari is most commonly associated with the writ that the Supreme Court issues to review a lower court’s judgment. A case cannot, sua sponte, go on appeal before the Supreme Court; therefore, a party seeking to appeal from a lower court’s decision may file a petition to a higher court for a writ of certiorari. That writ is the formal order to the lower court to deliver its record of the case for review. Wolokolie then ruled in favor of the government by disbanding the entire jury in the case, but her decision was challenged by the defense counsel headed by Cllr. Pearl Brown Bull, who later announced an appeal to the full Bench of the Supreme Court against the judgment. The Supreme Court affirmed the judgment of Wolokolie and subsequently ordered the disbandment of the jury, which set the stage for a new trial on charges, that Parker allegedly robbed the government of US$837,950. Prosecutors also alleged that the two accused persons, by awarding two sole-sourced contracts without the approval of the Public Procurement and Concession Commission, (PPCC) to Deneah M. Flomo and his Denmar Enterprise on behalf of the NPA for the removal of wrecks from the port of Greenville, Sinoe County, and the provision of security consultancy at the ports of Monrovia, Buchanan, and Greenville, caused the state to lose US$800,000 (the respective price tags of US$500,000 and US$300,000 per contract). Prosecution further alleged that Flomo and his enterprise were contracted to remove wrecks from the Port of Greenville in Sinoe County and to provide security consultancy at the ports of Monrovia, Buchanan, and Greenville. But the state says the contractor, Flomo and his Denmar Enterprise, did not have knowledge regarding the contracts and the required services were not rendered to the NPA. State prosecutors initially dropped charges against Flomo, the alleged mastermind of the contract, to testify in their favor, which case was ongoing when the jury tempering accusation interrupted the trial.